There’s only one thing more fabulous than the gorgeous characters from the world of Beatrix Potter: a character that’s just as unique as your child. Beatrix Potter’s darling Alphabet Figurines recapture the nostalgia of childhoods spent leafing through the pages of The Tale of Peter Rabbit, and are ideal for welcoming a new member to the family in a symbolic way. They also make for wonderful nursery decorations – you can use them to spell out your child’s name, or just represent their name with a single letter. 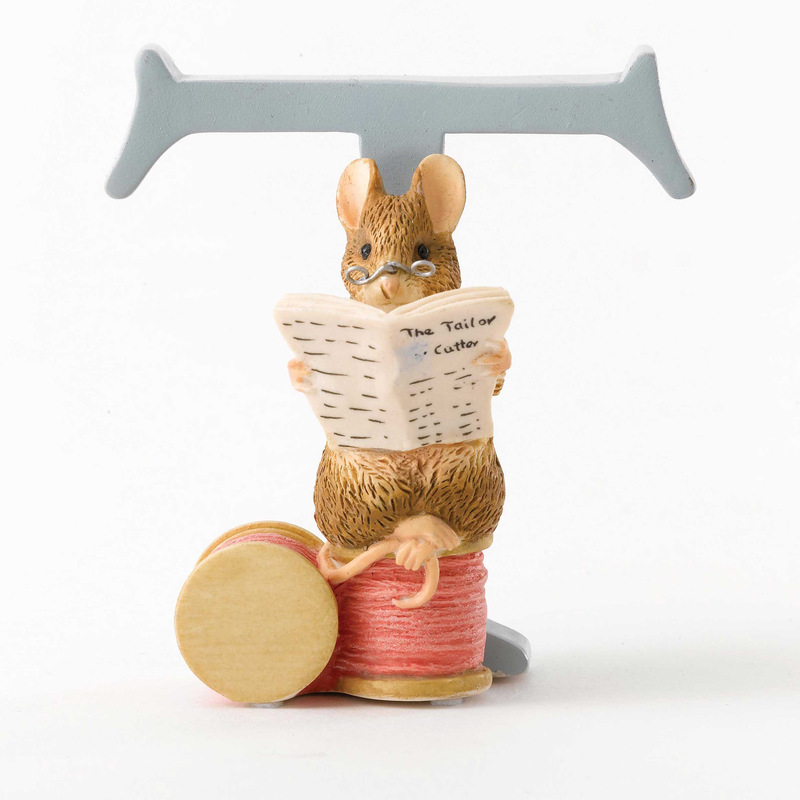 Each figure is lovingly made from resin and features one of Beatrix Potter’s familiar, charming characters, such as Jemima Puddle-Duck, Aunt Pettitoes, Mr Jeremy Fisher and of course, Peter Rabbit. Your child couldn’t possibly be represented by a cuter critter! Letter finished with a sweet three-dimensional Beatrix Potter figurine. Presented in a World of Beatrix Potter gift box.